November 2017 saw a new experience for the Palais. A flower master class! This resulted in some amazing floral sculptures from attendees.The Flower Master class was a collaboration between three florists – Sean from Mr Cook, Aleksandra and Jardine from Jardine Botanic. Together they have 35 years of experience in floristry and decided to come together to teach other flower lovers. The Master class always has a wonderful range of students attend from gardeners, florists, designers and people who just want to get creative with flowers. 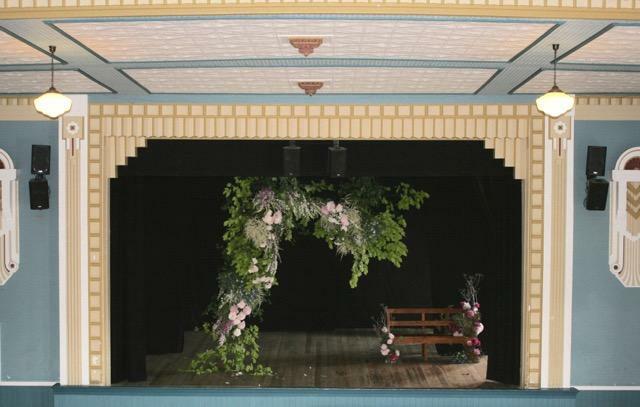 The class covers a range of techniques from table arrangements, bouquets, mantle arrangements, wreaths, floral headpieces and hanging installations. Hopefully we’ll see them again next spring! !